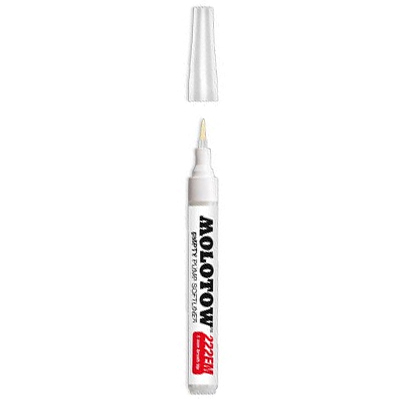 The Calligrafx Softliner Brush Pump Marker 222EM from MOLOTOW is the world’s first soft brush pump marker with unique patented pumping system and capillary technology. 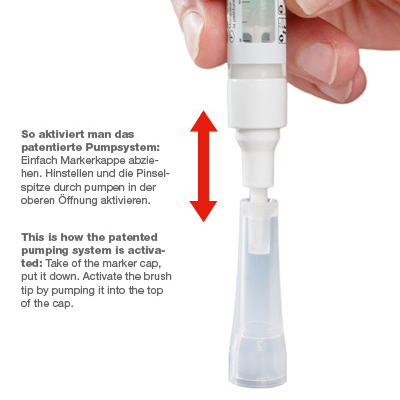 With its exchangeable soft-edged brush (1 mm brush-tip) and refill system this marker guarantees the highest performance. A real MUST HAVE for any artist. Exchangable 1mm brush tip, refillable, empty.